In its third year, the Beach to Beacon High School Mile, a special event on the eve of the 10K itself, has drawn a full field for the first time. Twenty entered the boys field, and seventeen girls entered. The race looks more competitive than ever with more top performers from around the state entered this year. A couple of injuries may reduce the field a bit but we should still see nineteen boys and fifteen girls run. 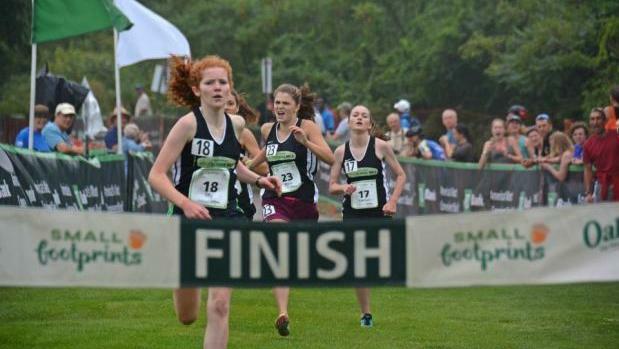 First added in 2016, the aim of the race is to provide a showcase for Maine's talented high school athletes, to celebrate their achievements, to provide a festive prelude to the next day's big race, and to offer a glimpse of Maine's developing talent. As the TD Beach to Beacon 10K, Maine's premier running event, draws talent from around the world and induces Maine's top runners to return year after year, the high school mile has also developed a loyal following. Twelve runners are repeat competitors, and two, Lincoln's Lauren Morrison, and Waterville's Nick Dall, are back for their third consecutive years. A year ago, Joan Benoit Samuelson, the B2B 10K's founder said, "We hope to attract the best and then bring out their best." 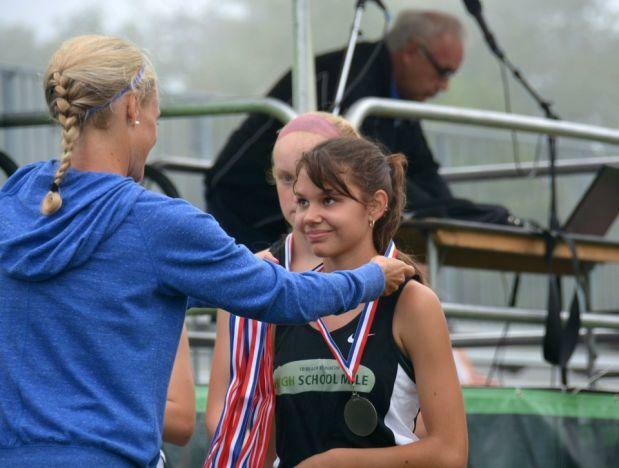 While it's certainly true that the best will be here---girls defending champion Lily Horne has won three state titles in the intervening year, and newcomer Lisandro Berry Gaviria took five individual state titles last season---those who watch high school running closely know that on any given race-day any one of the top five or six runners in each field has a solid chance to break the tape first. When Benoit Samuelson spoke about the event as "celebrating the achievements of dedicated and passionate high school athletes" she was not kidding. The 2017 race was run in a dense fog at Fort Williams but that didn't stop world renowned champion runners like Shalane Flanagan, Jordan Hasey, and Ben True from joining Benoit Samuelson to be on hand to personally congratulate each runner. When Lily Horne broke the tape at 5:28.8 to win the girls race the tape was held by Flanagan and Hasey. Flanagan, then an Olympic silver medalist, went on to win the New York Marathon just a few months later. Hasey, fresh of a third place finish in the Boston Marathon would repeat with a third place finish in Chicago in October 2017. True, like Samuelson, a home-grown talent, is the American record hold for a 5k road race and was the first American---and Mainer---to win the B2B 10k when he took the Title in 2016. Expect similar luminaries to be on hand this year. The race itself is a two-loop course beginning near the Portland Head Light and ending across the official TD Beach to Beacon finish line in Fort Williams. There are some inclines and curves and the surface is variable, some paved, some natural. If patterns from past years hold we can expect the competitors to finish perhaps 15 seconds or so off their seed times.